We all know how highly I think of REN products and when a little birdie told me that they rebranded their Normal skin line, I had to try something out myself. With my obsession with cleansing balms and rose-scented products, Rosa Centifolia No. 1 Purity Cleansing Balm was an obvious choice. Note to self: think of ways to shorten long product names. The Rose Centifolia range consists of gentle cleansers based on 100% natural Rose Extract Complex that tones softens and soothes the skin while cleansing. 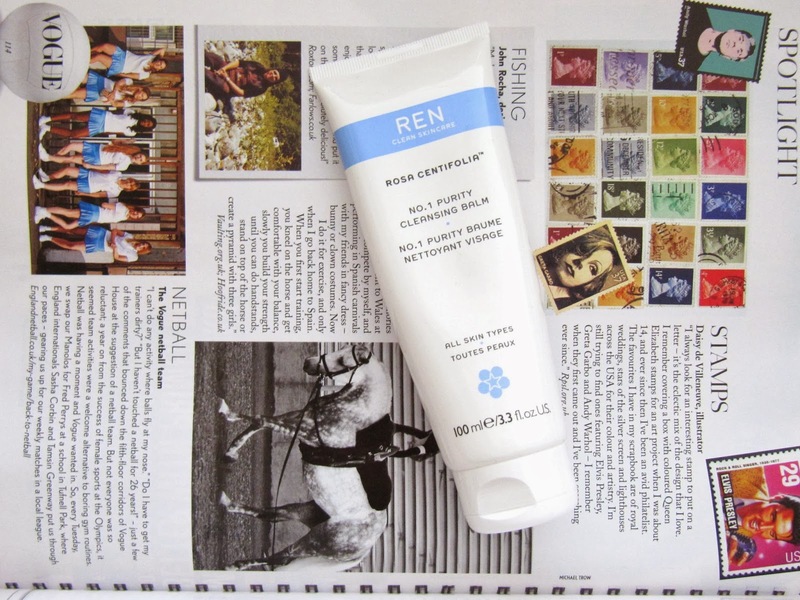 I love a good cleansing balm and it being in a tube is a huge plus for me. Though tubs do look really nice, it’s not as hygienic as a tube and most of the time I get product under my nails. However, in this case… I’m not quite sure if I’m that sold on the tube (more on that later). N1PCB is a rose-infused thick balm that feel like a milk as you massage it onto your skin. The Roman Chamomile Oil calms redness and soothes the skin while Lecithin helps retain the moisture, so your skin doesn’t feel tacky and tight after rinsing it off. It also contains Rose Oil, which makes the product a great treatment after a long day as it’s a stress relieving aroma. I take the product off with a random muslin cloth (there’s one included as well), and while it’s removing dirt and make up it also conditions the lashes and brows. I don’t wear mascara on a day-to-day basis, so I don’t know if it’s a great way to remove (water-proof) mascara, but by the way it effortlessly melts away my make up, I have very high expectations of that it will. I use the Balm as a make up remover and then follow up with my second cleanse to make sure all dirt is removed before I start with the rest of my routine. Like I mentioned, I love cleansing balms in a tube, though this one is very hard to squeeze out as it’s a rather thick balm. What I do is squeezing the tube (with the cap closed) before using it, which makes it a tiny bit easier to get the product out. I will consider getting the tub once I finish the tube, hopefully they’ll add those little plastic spatulas to get the balm out. All in all, REN are best at incorporating the things I love the most in my skincare products: fuss-free packaging, beautiful ingredients and being completely nasties-free. REN you’ve done it again. Have you tried anything from their Rose Centifolia range?